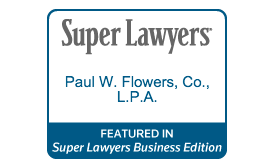 Since 1992, appellate law specialist Paul W. Flowers has successfully represented individual and business clients in over 200 appeals and original actions in state and federal courts in Ohio and California. 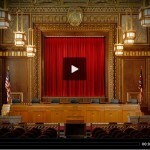 He has appeared for oral argument in all twelve districts in Ohio, as well as on numerous occasions before the Ohio Supreme Court. He is licensed in both Ohio and California, and has been certified as an Appellate Law Specialist by the Ohio State Bar Association. In April 2015, he was only the second Ohio attorney to be inducted as a Fellow in the American Academy of Appellate Lawyers based in Washington, D.C.
Mr. Flowers has received a number of awards throughout his career, including Ohio Lawyers’ Weekly Top Ten Attorneys in 2001, and was a Public Justice Foundation Trial Lawyer of the Year Finalist in 2007. 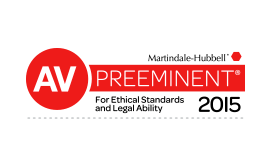 He has been recognized in Ohio Super Lawyers from 2007 to the present and is AV® Preeminent™ Peer Review Rated by Martindale-Hubbell®, the highest recognition possible in the legal industry for professionalism and ethics. The firm also selected for the 2015 Best Brief by the Ohio State Bar Association. Louis E. Grube recently joined the firm after serving as a Staff Attorney for the Supreme Court of Ohio. His years of experience working for and interacting with the Justices and Court staff have prepared him to handle all types of civil, criminal, and administrative appeals at all levels in the Ohio judicial system. The Firm is able to draw from a deep reservoir of experience and a library of successful legal briefs to work quickly and efficiently for clients in each new case. The Firm offers research and writing services to attorneys facing complex motion practice as well as procedural and evidentiary issues at the trial court level. Close watch is kept over significant appeals pending before – and opinions released by – the Ohio Supreme Court and intermediate appellate courts. While working closely with co-counsel, the Firm regularly prepares and submits memoranda in opposition to summary judgment, requests for class certification, responses to Daubert challenges, trial briefs, and jury instructions in trial courts throughout the state and within the federal judicial system. These legal services are typically provided on a standard hourly rate basis, although contingency fee arrangements are accepted in select instances. Estimates are furnished upon request. Contact an experienced Ohio appellate attorney for a free initial consultation. For legal assistance, call Paul W. Flowers Co., L. P. A. at 216-344-9393 or contact him online for a free initial consultation to evaluate the facts of your case.